There is something so satisfying about diving into the azure blue of an exotic swimming pool. From lagoons with vista views to tropical infinity pools, we have scoured the globe to find the world’s best swimming pools. So grab your swimming costumes and get ready to take the plunge. 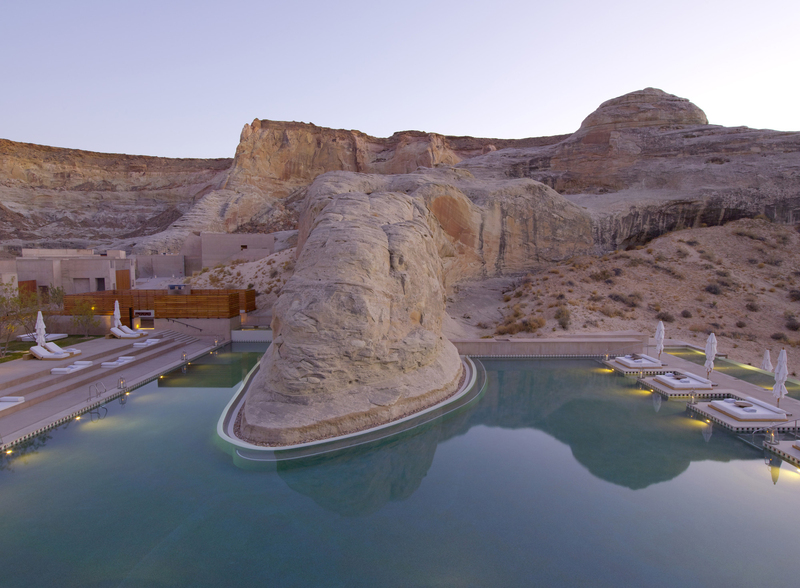 Overlooking starkly beautiful desert scenery and the Southwest’s iconic flat-topped mesa rock formations, Amangiri (‘peaceful mountain’) is located in the USA’s Grand Circle region. Five national parks, numerous national monuments and the Navajo Nation Reservation, the largest Native American reservation in the United States, surround the resort. The swimming pool is out of this world; perhaps Mars (we imagine the landscape is similar). It is tucked into the protected valley with extraordinary sweeping views of undulating dunes and plateaus. 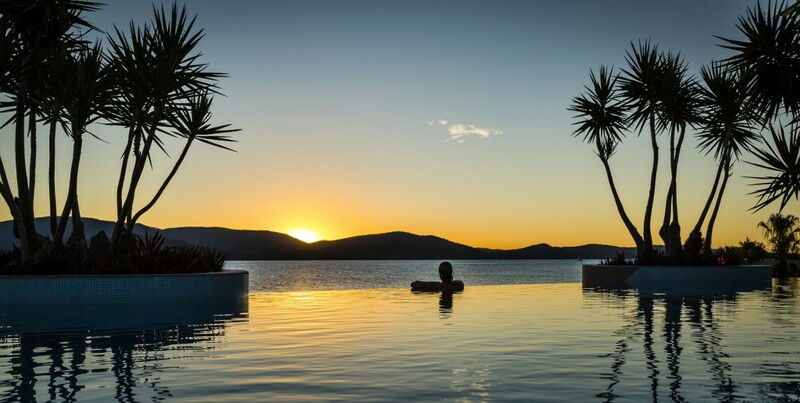 An iconic architectural masterpiece set within the serene aqua waters of the Whitsundays, Great Barrier Reef Queensland Australia, AQUA is arguably Australia’s finest seaside residence. Situated on a secluded and private peninsula surrounded on three sides by the magnificent waters of the Coral Sea and Pioneer Bay, with its own private beach, marina and helipad, AQUA is akin to an exclusive luxury private resort, truly a rarity by international standards. Relax and soak up the sun by the pool on one of the many terrace vantage points. The infinity edge pool is complete with sandy beach and swim up bar. Cap Maison is a family-operated boutique villa resort located on the northernmost tip of St. Lucia in Cap Estate, one of the most exclusive areas on the island. Guests are treated to dramatic cliff scenery with the tranquil waters of the Caribbean Sea on one side and the brisk Atlantic Ocean to the other. Situated at the edge of a private ocean-bluff, Cap Maison’s infinity pool boasts breathtaking views toward Pigeon Island and Martinique. Guests are also treated to three other pools – a courtyard pool, a natural rock pool and individual private pools for those staying in an oceanview villa suite. Here at Hero & Leander we are particularly taken by the natural rock pool; a natural pool that fills with sea water as the waves surge to the base of the cliff. It has a submerged bench and is the perfect place for guests to immerse themselves while enjoying a cocktail. Three carved out “ice buckets” are also in the rocks, awaiting a bottle of their choice- perfect! 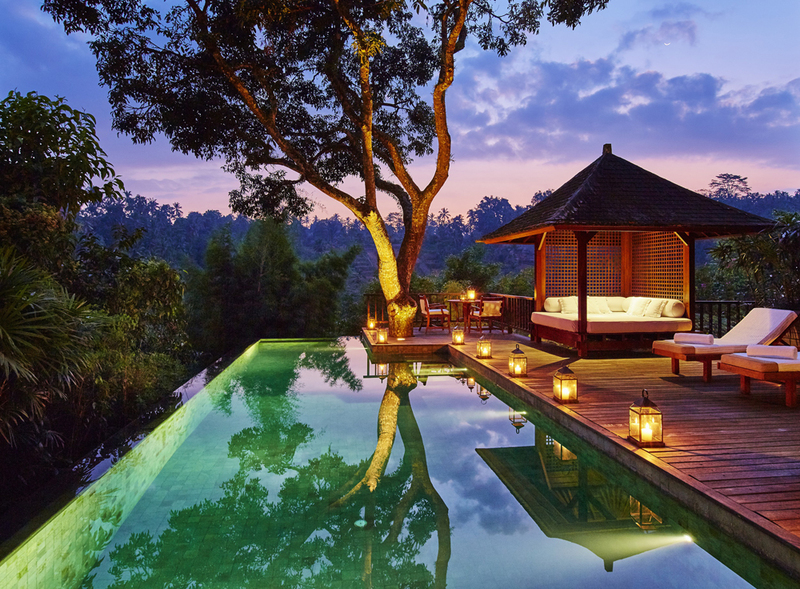 The COMO Shambhala Estate combines a sumptuous hotel with a top-notch health retreat, set on the steep slopes of the sacred Ayung river gorge in Bali (with 9 acres of stunning tropical grounds). Each villa is styled in the Como trademark Asian-meets-European decor with Alang-alang roofs, hand-carved furniture and Chinese antiques. The real wow-factor here is the holistic and fitness element; those looking to relax can learn Qi Gong and meditation or pamper themselves with a host of Ayurvedic treatments, whilst those looking for more of a challenge can take part in demanding volcano treks or cycle rides though rice paddies and jungle gorges. Each residence has its own private pool- some of which are infinity- and all of which are lit at night by beautiful Chinese lanterns. This is where people come to detox, de-stress and revitalise. 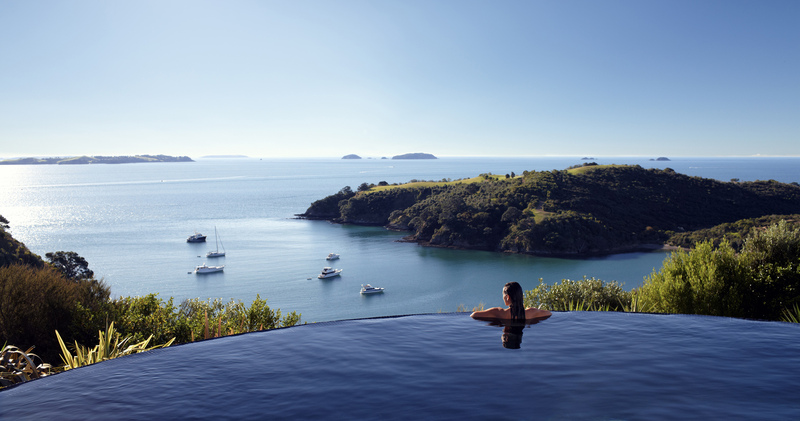 Famed for its wineries and white sand beaches, Waiheke Island is also known for the pool at Delamore Lodge. Delamore Lodge offers 5-star luxury resort accommodation at spectacular Owhanake Bay on Waiheke Island, just a short helicopter or ferry ride from Auckland. This ultimately luxurious boutique hotel offers four suites and a two-bedroom apartment — all north facing for sun and to maximise the commanding sea and island views of Auckland’s ever-changing Hauraki Gulf. The resort’s luxury outdoor swimming pool offers one of the best views in the world across the Hauraki Gulf and has received international acclaim. The ever popular heated infinity swimming pool is open to all resident guests. 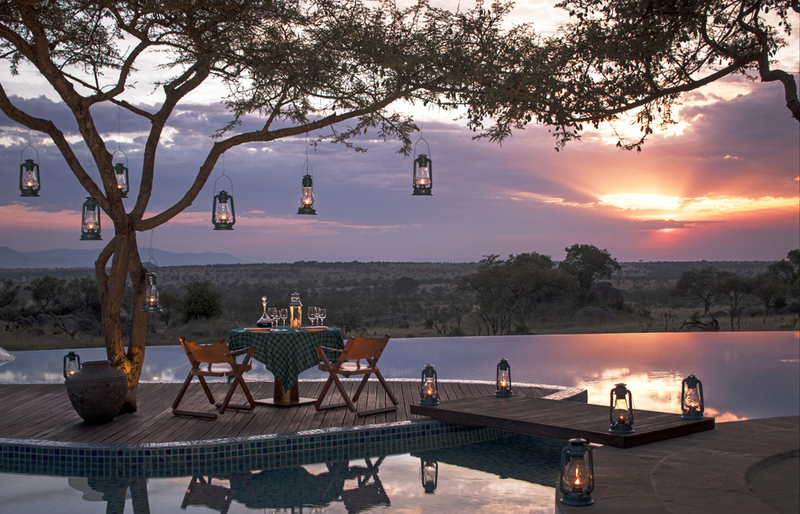 Four Seasons Safari Lodge Serengeti is set deep within Africa’s finest game reserves and offers guests a once-in-a-lifetime opportunity to get up close and intimate with lions, elephants and other wildlife animals, yet still feel safe and pampered. Take a break from your Tanzanian adventures and cool off in the free-form infinity pool overlooking the watering hole and Serengeti plains. With sunbeds and bar service, it’s an idyllic setting from which to watch a glorious sunset or admire a turquoise sky. Galapagos Safari Camp is situated on a hillside on the island of Santa Cruz in Ecuador’s Galapagaos Islands with spectacular views and an infinity pool. 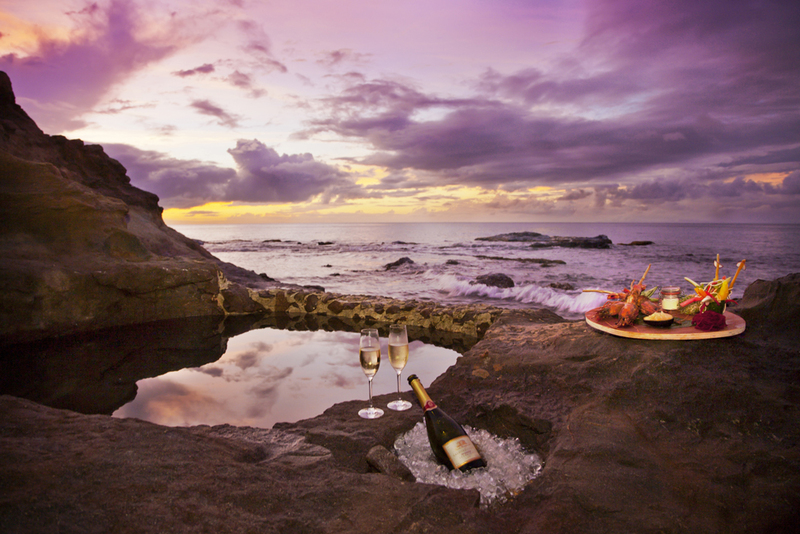 There are nine luxurious safari-style tents with views over the Pacific and western and northern Galapagos Islands and a fine restaurant in the central lodge. Where else can you relax by the pool whilst watching Galapagos finches and maybe even spot a giant tortoise stroll past! 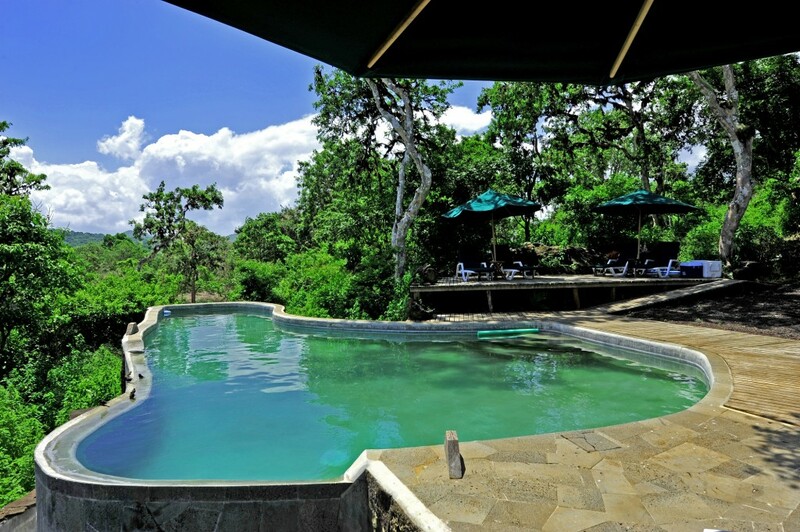 If it’s good enough for Sir David Attenborough it is good enough for us (he filmed at the Galapagos Safari Camp’s pool a few years ago!) Visit as part of an itinerary with Last Frontiers. 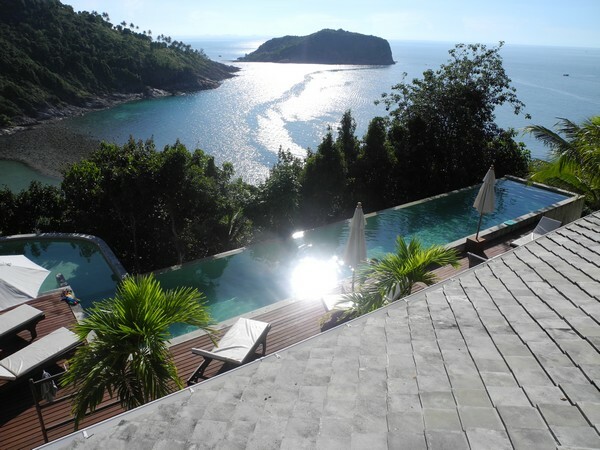 This spectacular property available for rental is located on the exclusive private beach of Thong Lang, set amidst 3000m2 of beautifully landscaped gardens and sun terraces. The villa’s enviable position takes in incredible jungle panoramas, and the lush tropical flora and fauna surrounding it sweeps down to our deserted white sand beach. The private pool is quite simply exquisite with views that may take your breath away. Imperial Springs, China is where natural beauty, opulence and regal history come together gifting the ultimate resort experience. Serene, yet ideally located within easy reach of Guangzhou, the resort is encircled by the lush Phoenix Mountain Range and nestled amidst rejuvenating natural hot springs. Juxtaposing ancient and modern architectural themes the 148 lavish rooms deliver an unprecedented level of luxury, service and aesthetic. There are 37 villas in total at Imperial Springs, 6 of which stretch over 732m2 and are located with commanding views of the stunning surrounds. The swimming pool image above is the private swimming pool to Villa C and here at Hero & Leander we adore it.